Fighting climate change just became as easy as changing a light bulb or swapping out your old thermostat! GreenON.ca can show you how small changes and other home improvements can help your household or business save money while doing your part to keep Ontario green. 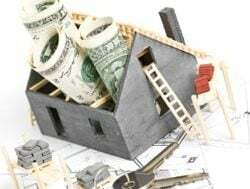 And if you’re looking to make some larger upgrades and improvements, why not take advantage of government rebates aimed at curbing greenhouse gas emissions and fostering environmentally friendly behaviour? 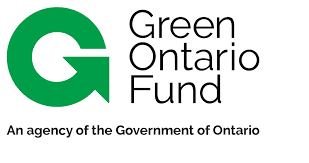 The Green Ontario Fund is an energy rebate program launched this past August by the provincial government in an effort to encourage homeowners to take on energy efficient renovation projects that will help fend off climate change, reduce expenses and support local business. Phase One saw the roll out of a program offering free installation of Smart thermostats which are connected to the internet and allow homeowners to adjust the temperature of their home remotely via a smart phone app. 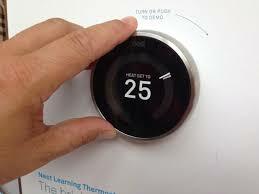 Learn more about the Smart Thermostat program here. A recent expansion of the Fund allows for consumer rebates of up to $7200 for new insulation, up to $5000 for new windows, and up to $20,000 for new ground or air source heat pumps as long as installations are completed by a contractor who was successfully screened by the Green Ontario Fund. Interested homeowners can register online to have an approved contractor complete the installation. Not sure which contractors in your neighbourhood might be registered with the program? Visit https://greenon.ca/find-a-contractor to find an approved contractor near you. Are you a contractor who is interested in registering your services? Visit https://greenon.ca/en/contractor-signup for details. Sign up for Green Ontario Fund Program Alerts here.